Giving birth to a newborn baby is one of life’s biggest changes and greatest joys. Welcoming a new addition to the family sparks great change in the lives of the family members. Most especially the mother, as her body is also going through some major changes both internally and externally. The first few weeks after giving birth can be quite challenging. New parents now have to get used to sacrifice and fatigue being the new normal. Of course, there are the expected feelings of feeling proud to bring a newborn baby home and an incredible amount of joy. Yet, a mother might also experience feelings of great sadness, irritability, fatigue, and overwhelm during the first weeks after childbirth. The important thing to note here is that this is actually quite normal. These feelings and changes and mood swings are a lot more common than you might think. 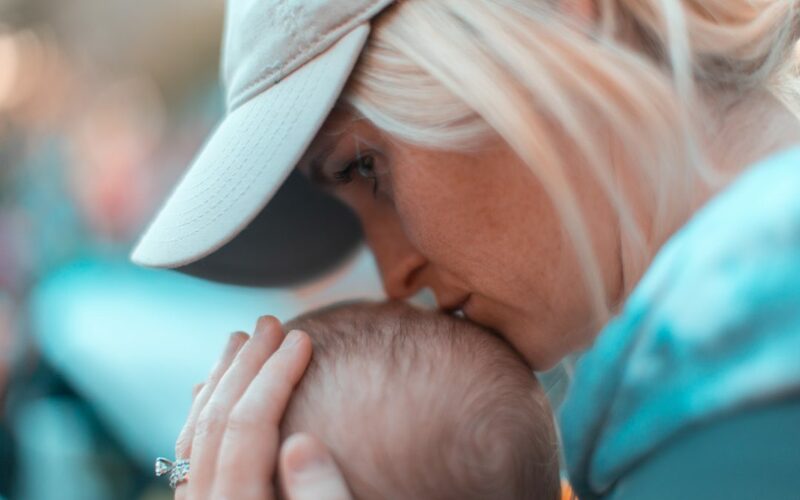 These are commonly known as the “baby blues.” If however, there are longer lasting, deeper levels of sadness, this might be Postpartum Depression or Perinatal Mood and Anxiety Disorder (PMAD). This common type of weepy sadness is often related to the drastic hormonal changes women go through immediately after childbirth. A woman’s hormone levels rise when they are pregnant. Then, quickly and almost immediately they drop to a very low level after childbirth. This can cause the shifts in mood and might even trigger deeper levels of sadness known as, postpartum depression in some women. If these feelings of deep sadness and overwhelm last much longer than 2 weeks, this can be called “postpartum depression” and is more severe. 1 in 7 women (some numbers say 1 in 5) will be diagnosed with a Perinatal Mood Anxiety Disorder (PMAD). You are more likely to get postpartum depression if you have had depression in the past and/or depression runs in your family. Though these symptoms may seem dire, it is crucial to know that there is hope for you. Perinatal Mood and Anxiety Disorder affects 1 in 7 women and can be treated with counseling, diet and lifestyle changes, and even medication in some severe cases. Seek out a professional if you are experiencing any of the above symptoms. For postpartum depression, you should seek professional counseling. We are here for you at Fleming Family Therapy and Katie Fleming is specifically trained in treating PMAD’s. Medication is another form of effective treatment for those suffering from depression. There are chemical imbalances in the brain that can be regulated and balanced through prescription drugs such as antidepressants. The most effective treatment is a combination of psychotherapy and medication management for PMAD’s. Reach out to us anytime if you think you might need some help navigating through this process. Reach out to those you trust and love in your life. Your partner, your mother, your sister, a close friend. If you are feeling strange bouts of sadness that you don’t understand, one of the best ways to help you understand them is by talking them out. If you feel you want or need professional help, look no further than us right here at Fleming Family Therapy. Katie, Vanida, and Leah are here for you when you need it most. They can offer you expert level counseling on how to navigate these new feelings and how to address them in the most effective way for you and your family. Many new moms will actually go hours without eating because it’s so difficult to make a healthy meal while caring for a newborn. This isn’t the time to worry about being the healthiest eater either. Though getting regular exercise throughout the week is a great mood booster! The most important thing is making sure you’re eating something filling and relatively healthy every couple of hours. Keeping snacks all around the house (in your nightstand, in the nursery, next to the couch, on the counter, etc) can definitely help! It is always a good idea to take a break from the hard task of being a mother. Get outside, exercise, start making some time to do some of the things you loved before you became pregnant and a new mom. Make sure you make some time for yourself and ask a friend or your partner for help when you need it most. Asking for help is the best way to stay on top of your own health and the health of your baby. Forgive yourself for your imperfections. Last but not least, forgive yourself. Love yourself through this difficult journey and always remember you are not perfect. 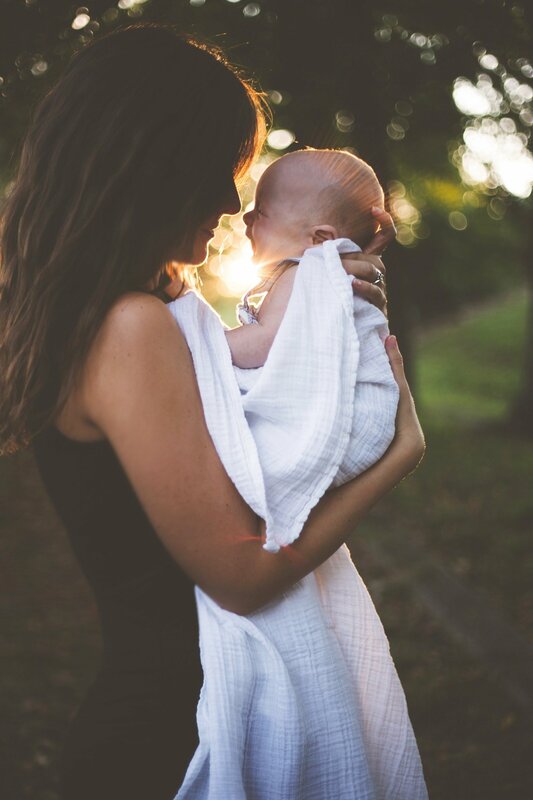 No one is expecting you to be a perfect mother, especially if it is your first time. There will be mistakes and you will be forgiven. You are enough. Staying on top of your own mental health and asking for help when you need it is crucial. These are the first steps in providing care for yourself to become that wonderful mother you already are. Thinking of Therapy? Call Us for a Free 15-Minute Consultation.